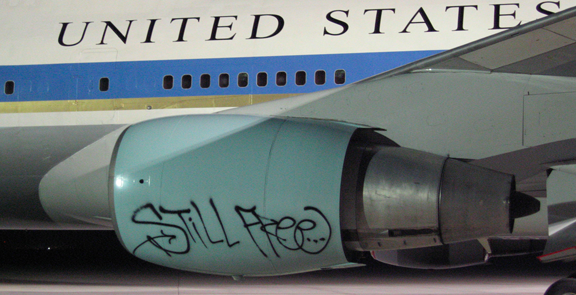 The tagging of Air Force One in 2006 was undoubtedly the biggest thing for advertising and marketing in general for that decade. It cemented the digital age and what it could do globally for brands and their audiences. In what can only be described as a purely brilliant and calculated effort from agency Droga5 and the creative team David Droga, Duncan Marshall and Jeski Takaharo, the term ‘spread like wild fire’ is an understatement. From what looks to be a 3 minute home video with poor production is actually a well executed and produced idea that was shared by millions, broadcast on news across the planet and received massive amounts of ‘money can’t buy’ earned media. Now it had its fare share of doubters and hypercrites not long after it launched, but what and how it archived what it did made the whole world stand at attention. For those who where a little behind on digital marketing and how to use it effectively, viral was now truly on everyone’s agenda to ‘get out there’. The one problem that has risen from this is that every brand wants to have a viral campaign, but what you have to ask yourself is what makes something go viral. More often than not it’s either extremely funny (now I’m talking really really funny here), highly illegal or genuinely emotional. Uploading just anything without any thought process isn’t going to cut it and especially in this day and age it had better be engaging to get its ’15 minutes’ which is now probably 15 seconds. You have to ask yourself is making a viral campaign really the best avenue to communicate your message or are you better off speaking to your audience directly? Don’t take it the wrong way viral is a superb medium when done correctly like this example, just not always the right path for every message a brand wants to talk about. Discover more of the campaign with the links below.